Last month, we visited Nantucket for the first time and it was incredible. This small New England island was probably the most charming town I’ve ever visited. Think grey shingled cottages, exploding hydrangeas on every street corner, sandy beaches and incredible lobster. Since summertime in New York City is all about the weekend getaway, I thought I’d share a first timer’s itinerary for Nantucket! Whether you have just a weekend or a full week, here’s how to navigate the ACK. 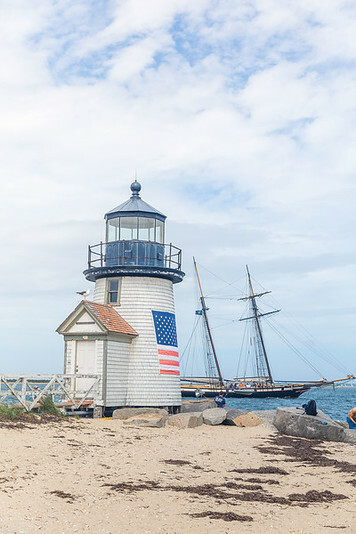 Keep reading for the perfect Nantucket itinerary! Nantucket is nicknamed the Little Grey Lady of the Sea, since the tiny island is often completely obscured by a thick fog. Weather on the island can be a bit unpredictable, since it’s heavily affected by the Atlantic Ocean. Expect slightly cooler summers than mainland Boston and slightly warmer winters than New England – but not by much! Also don’t be surprised if mornings start off rainy or fog prevents flights from arriving and departing. Usually, things clear up by the afternoon! We flew in to Nantucket from New York City via JetBlue, which offers affordable nonstop flights under 1 hour. If the weather holds up, the short flights are a breeze! We got unlucky, as both our arrival and departure flights were a nightmare due to weather… so I think next time I’ll try the ferry! You can read more about transportation options to Nantucket in our in-depth guide here. 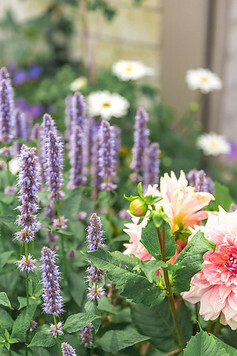 Although Nantucket, Massachusetts is a quick 1 hour flight from New York City, I would budget an entire day for both your arrival and departure. The Grey Lady often hides herself from view (and shrouds the runway) so it’s pretty common for flights to be delayed until the weather clears. I’ve written the itinerary below assuming 3 full days on the island – although if you have more time, I would spend even longer! The charming All-American town was first founded in 1641 as a shipping and whaling town, but today is luxurious, preppy and WASPy. A great way to kick off your trip to Nantucket is to explore the heart of the island, Downtown. From here, you’re surrounded by great shopping boutiques, tasty restaurants and tons of hotels, both luxury and cozy inns. Afterwards, grab cocktails at Galley Beach to watch the sunset with your toes in the sand, then have an epic seafood feast at Cru! The restaurant is right in town with a beautiful view of the harbor that you can enjoy as you dine. If you still have room, Juice Bar is an island institution! Make sure to grab ice cream in a waffle cone. To be close to all the action, stay in Downtown Nantucket at the White Elephant. For day 2, you absolutely have to check out Siasconset! 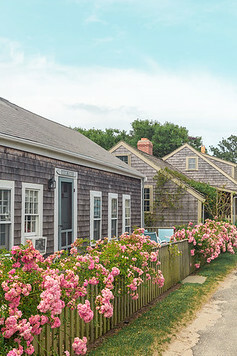 The eastern section of Nantucket is a pretty village famous for its rose-covered cottages and seashell path. You can rent a bike and ride down Milestone Road. It’s roughly an 8 mile journey one way, or 40 minutes. Alternatively, you can hail a Uber or cab to take you there in about 15-20 minutes. Sconset Bluff Walk is a popular path to soak in the stunning houses and ocean views. If you’re hungry, grab some fresh muffins and an iced coffee from the local Sconset Market or have a picnic on the beach! There’s also Milestone Bog to check out – over 200 acres of active cranberry bogs! We didn’t get a chance to see this, but I heard it’s especially beautiful in the fall when the harvest kicks off. Finally, keep exploring until you reach Sankaty Head Lighthouse! This is a cute small white lighthouse with the American flag painted on it. We spotted lots of boats in the harbor and people sunbathing on the rocks. To round out the relaxing, picturesque day, head to Ciscos for their outdoor brewery. You can picture a kind of outdoor beer garden with great live music, colorful food trucks and incredible drinks. We tried a round of the frose, watermelon sangria, Grey Lady beer and blueberry vodka – everything was delicious! Don’t skip the brewery tour either. It was interesting to learn about the production process and they’re generous with the tastings! For your final full day in Nantucket, you have to make it a beach day. Grab a filling breakfast at Black Eyed Susans and do some shopping for cute vintage Lily Pulitzer or classic Ralph Lauren on Main Street. Then, pick one of the many beaches Nantucket has to offer to relax away! Nantucket has over 100 miles of sandy shoreline and all are open to the public. The north Nantucket Sound beaches are gentle, while the outer beaches have strong currents. And that’s it! A quick but epic 3 day weekend in Nantucket. What are you most looking forward to? Flight Deals | Jet Blue offers nonstop flights from NYC to Nantucket. The flights are short and affordable, but occasionally fog disrupts routes. Alternatively, you can fly to Boston and then take the ferry. Set a fare alert here to be notified of discounts. September is a great time to visit to avoid the crowds! 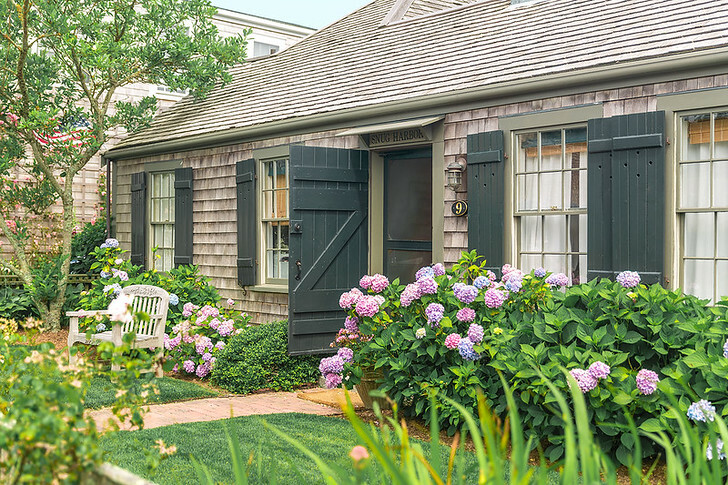 Accommodation | Nantucket is a pricey weekend escape, so book hotels in advance to save, or check here for last minute deals. Not sure whether to pick a boutique or b&b or even what part of town to stay in? 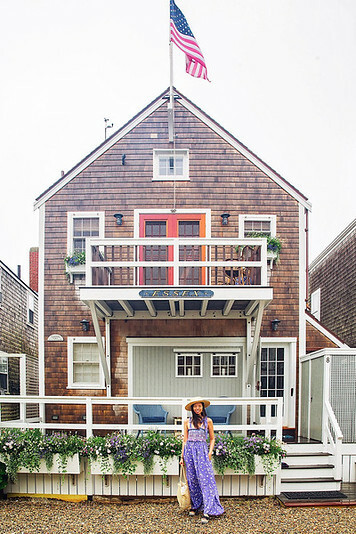 Read my Nantucket accommodation guide. If you have a group of people, rent a house on Airbnb. It’s not only more charming and affordable, it’s more fun! Insurance | Lastly, be sure to visit Nantucket with travel insurance. Whether you get injured and need to be hospitalized, or your phone gets stolen, travel insurance will help when you need it most. Nantucket’s reputation as the Grey Lady means flights are delayed often. In our case, our flight was canceled and then our rebooked flights were delayed for 12 hours! Get a quote for your trip here. 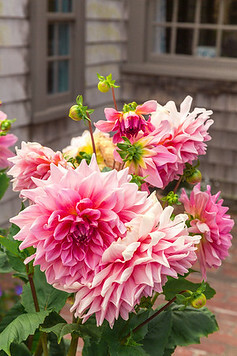 Don’t Miss these 10 Fun Things to Do in Nantucket!